Secom offers high-definition closed-circuit television (CCTV) systems that are professionally installed, tamper resistant, and effective even in low light situations. Exterior video cameras – Live streaming and recorded video of multiple locations can be monitored from our user-friendly dashboard. Rear entrance video cameras – Make sure no one’s sneaking in the back way with coverage of hard-to-see places. Dome video cameras – Keep a constant eye on heavily trafficked interiors with 360-degree visibility. Better yet, when our commercial security camera systems are integrated with your small business’s alarms, you can receive video alerts whenever something unusual or unexpected occurs on your property. 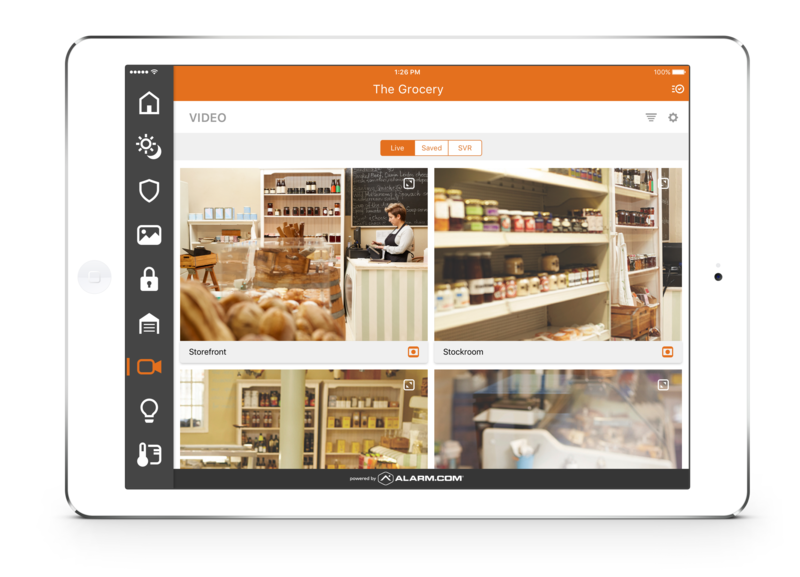 Access live and recorded video anytime, anywhere from your smartphone or mobile device. Receive customized alerts via text or email. Search and filter to view footage from specific cameras, rooms, and more. Instantly view video footage when an alarm is activated and discover the cause. Transfer recordings instantaneously to the cloud and protect important footage from physical damage. Connect unlimited cameras from multiple locations, without the need for on-premise recorders or hardware using Secom’s cloud-based video surveillance solutions. Imagine the IT costs you can save. An outbound Internet connection is all you need to get started.